eDrishyaa IT India Pvt. 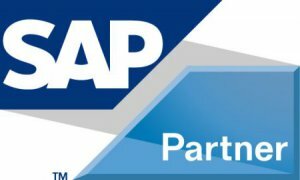 Ltd. is the first E-learning Partner of SAP in Coimbatore.Now it is expanded with Classroom Training at the year of 2013, July.It has been awarded as the Best eLearning Partner of SAP India. SAP Training and Certification at eDrishyaa SAP eAcademy is an excellent experience for students. The students have an added advantage by pursuing SAP courses at eDrishyaa because of its advanced technology of eLearning and getting SAP training directly from SAP Germany Servers. We offers extensive support to its students with the help of various guidance sessions conducted regularly by SAP experts from various industries. All the students who complete their courses are awarded with authorized completion certificates. Certified professionals are given globally recognized certificates by SAP Germany. Being an education partner of SAP, eDrishyaa has its authorized SAP training and certification centres in Coimbatore, Bangalore (Rajinagar) and Bangalore (Electronic City). The organisation aims to nurture professionals for becoming successful SAP Consultants.